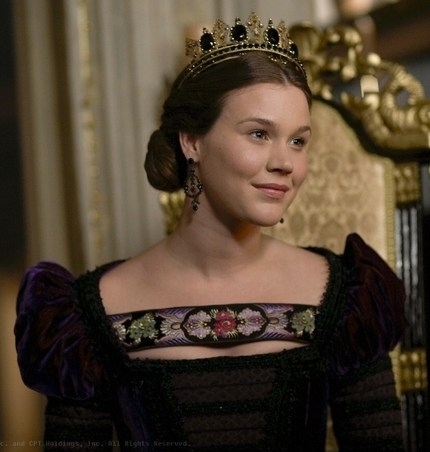 Anne of Cleves. . Wallpaper and background images in the The Tudors club tagged: the tudors tv show season finale anne of cleves season 3. This The Tudors photo might contain bustier, bustiê, chemise, shimmy, turno, escorregar, peluche, camisa, deslocamento, deslizamento, teddy, vestido de cocktail, and bainha.